On this episode, we sit down with Courtney Whitmore, founder of Pizzazzerie, our go-to guide all things entertaining and style! On her “good ole blog,” as she calls it, Courtney brings us everything from easy, staple party décor and stunning tablescape themes to daily recipe and cocktail tips. She is a three time published cookbook and entertainment book author and is in the throes of writing her fourth as we speak. In addition to the Pizzazzerie blog platform and books, Courtney is a creator and content contributor for major leaguers like Better Homes & Gardens, HGTV, Target, Pier1, and MarthaStewart.com. But this stylish, southern hostess-with-the-mostess didn’t always have her sights set on the culinary and the creative. Undergraduate study at Vanderbilt brought and kept Courtney in Nashville, after which she worked as a career counselor for the university. After some time of feeling tethered to her office and burdened in a job that didn’t feed her vibrant spirit, she resorted to throwing small dinner parties for friends to brighten an otherwise arduous and unfulfilling season. Our time with Courtney has something to offer all of us. The gratitude we can rest in and grow out of, even when we find ourselves in unhappy seasons. The perseverance and faith it takes to veer off the beaten path. The discipline demanded to find success in unconventional landscapes. The necessity of a supportive community in the midst of a digital world. The secrets behind and cathartic release in creating something beautiful with your hands. Courtney also divulges some of her staple items and accessories to keep at home for cooking, decorating, and entertaining. “It’s not as hard or expensive as it seems,” she assures, “and at the very least, just start small.” Hear more about Courtney’s decade long journey to success in entertainment blogging, and take heed of her charge to let go of perfection and just enjoy the process. 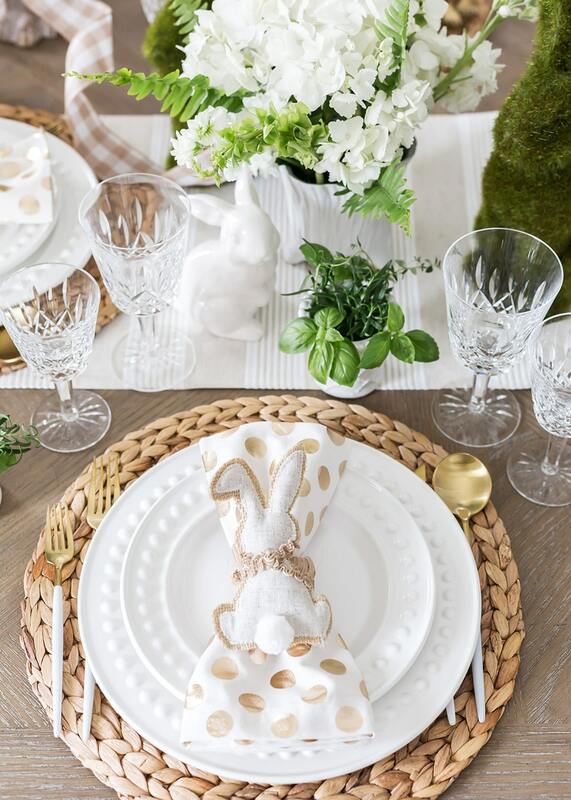 Easter brunch “grazing board” centerpiece.